If you’re planning to go to the Northern Territory in Australia, you will find yourself in one of the most authentic spots in the country. You will get a glimpse of the real Australia in all its glory as you get to know the locals and travel the vast landscapes. Due to the vast amount of land the Northern Territory covers, you will want to make sure you plan out your trip. This article will point you to some of the best places you can put on your itinerary so you can make the most of the north. In fact, plotting some top places to stay on your journey is essential. It is recommended that you check out a Kakadu luxury accommodation so you can spend time in the great outdoors such as its breath-taking national park. You will also get to experience safari retreats, camping, lodges, and inns to make your northern adventure even more exciting. This landscape is guaranteed to leave you speechless. Also known as Uluru, this spot in the north is a massive sandstone rock and is a sacred centre for the indigenous population of Australia. Its spiritual essence spans for thousands of years and the history behind this ‘red centre’ is highly fascinating. The best time to visit is sunset when you see the light setting on the rock illuminating shades of oranges and reds. This National Park should definitely be next on your list as it is one of the top sights of Australia. Going on this walk can be hard but the views walkers are rewarded with once reaching the top are spectacular. 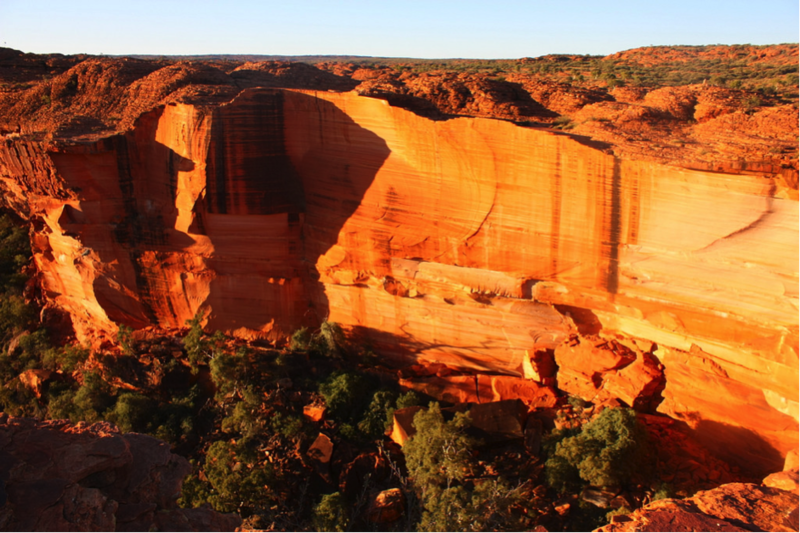 If you enjoy nature and the great outdoors, Watarraka (Kings Canyon) is a must-visit. This market happens at sunset and welcomes most of Darwin’s population for the popular event. You will see friends, families, and locals coming together with chairs, blankets, tables and more to experience the buzz of the market. With food stalls galore, you will find a whole host of Australian cuisine from fruit to cakes. The market also boasts a variety of arts, crafts, and clothing alongside indigenous objects. These Islands, known as Bathurst and Melville are close to Darwin and are home to the Tiwi people. You will be introduced to a vibrant culture and a glimpse into the art created. Even though you cannot just walk onto the islands as a tourist, you can plan a special trip. You will discover there are organised tours where transport is pre-arranged so you can explore the islands respectfully. This is yet another stunning park filled with bushwalks, swimming spots, and waterfalls. You will be surrounded by cliffs as you cool off in the clear blue plunge pools. Now you know there’s plenty to do in the Northern Territory of Australia, you will be able to plan your time more effectively. Make the most out of your stay and explore all the north has to offer.